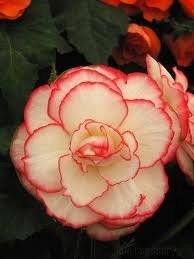 Begonias are tropical and succulent. They tend to thrive at moderate temperatures and can do well both indoors and outdoors. Many gardeners plant their begonias in hanging baskets. 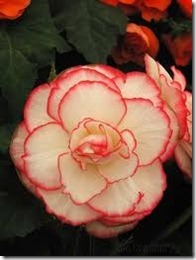 For optimum plant growth, pinch your begonia every year. Pinching off certain parts of the plant ultimately results in more flowers and a more desirable "bushy" shape. Cut off dead and yellowing leaves. Remove all wilted blooms. Time your pinching accurately. If you propagate your begonia, wait to pinch the plant until you are finished propagating. If you propagate it in the winter, wait to pinch until two weeks after this activity. Locate the tallest, most vigorous branches. Begonias tend to grow more vertically. Pinch off the growing ends of these tall branches with your finger. Continue to do so as the plant grows to encourage a bushier shape. Remove the baby leaf below the end of each growing shoot. Avoid pinching within six weeks of showing your begonia plant. These six weeks allow the plant to grow out and produce more blooms.